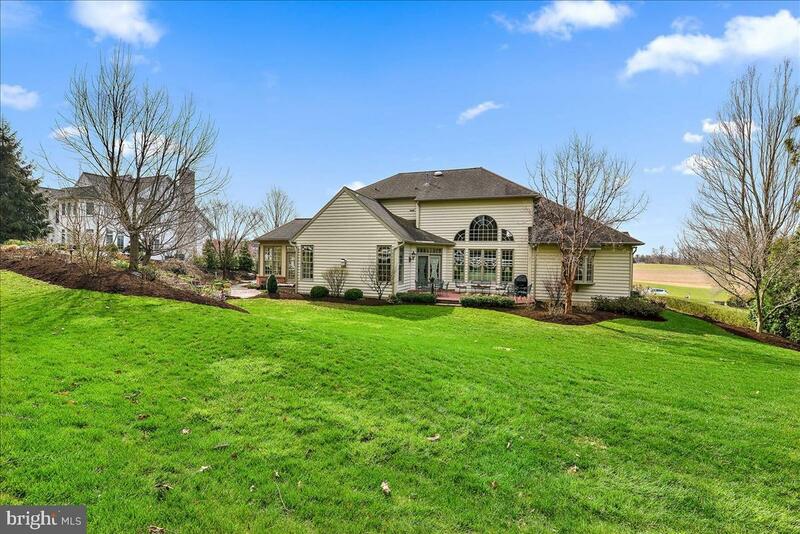 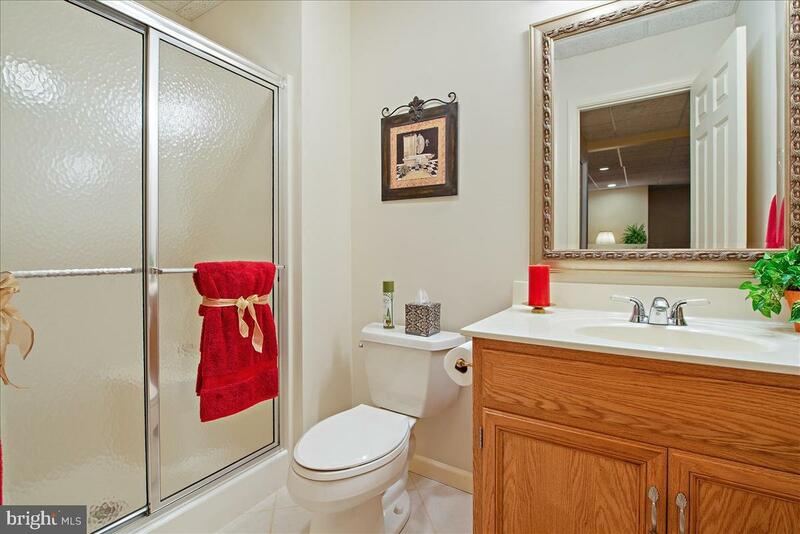 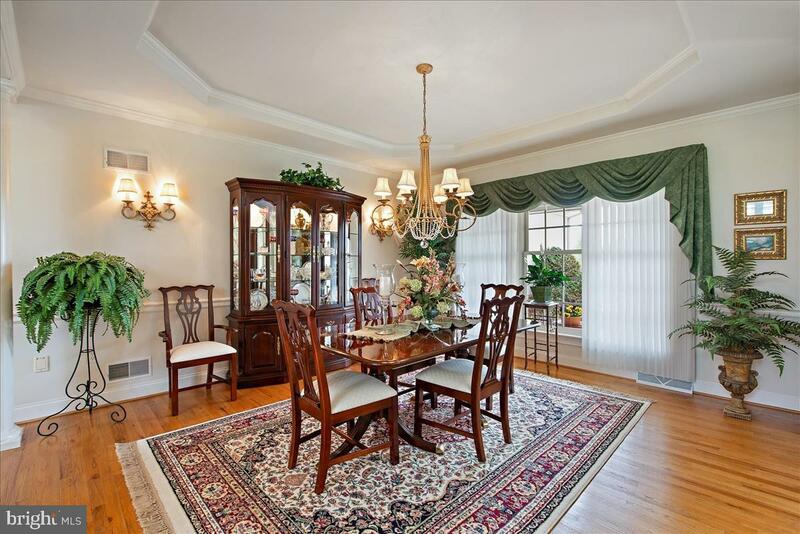 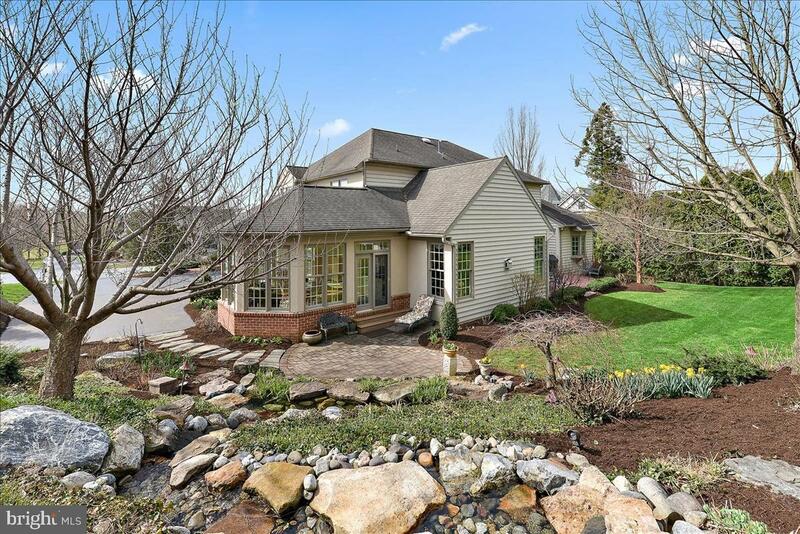 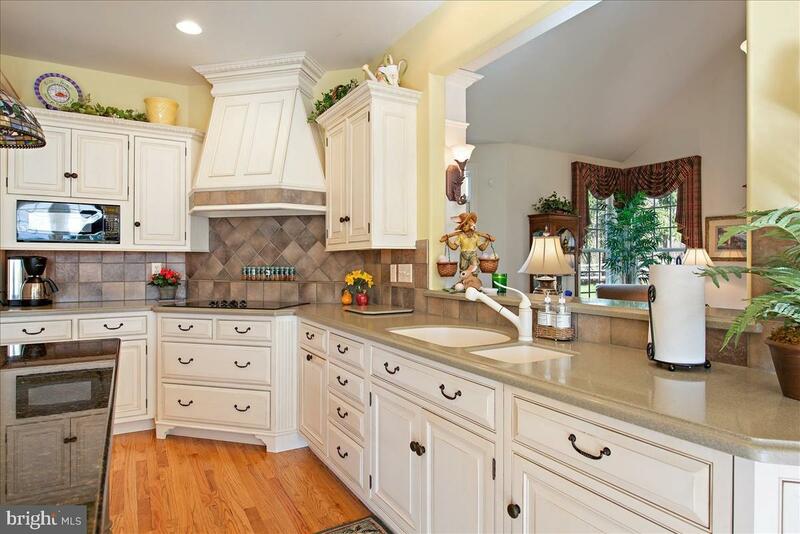 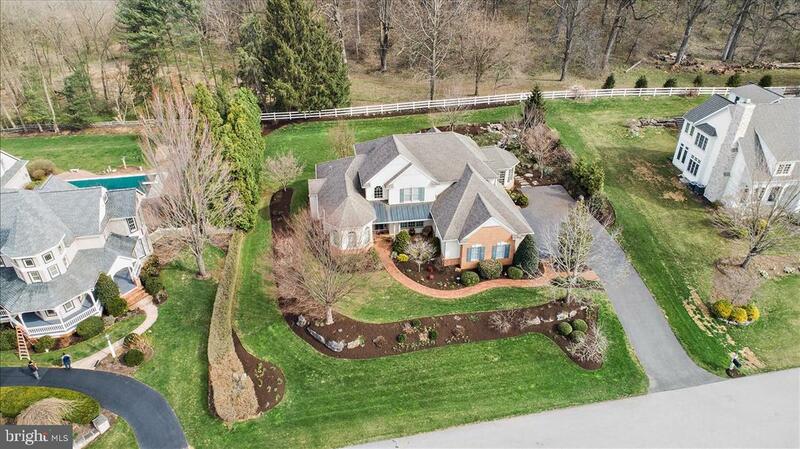 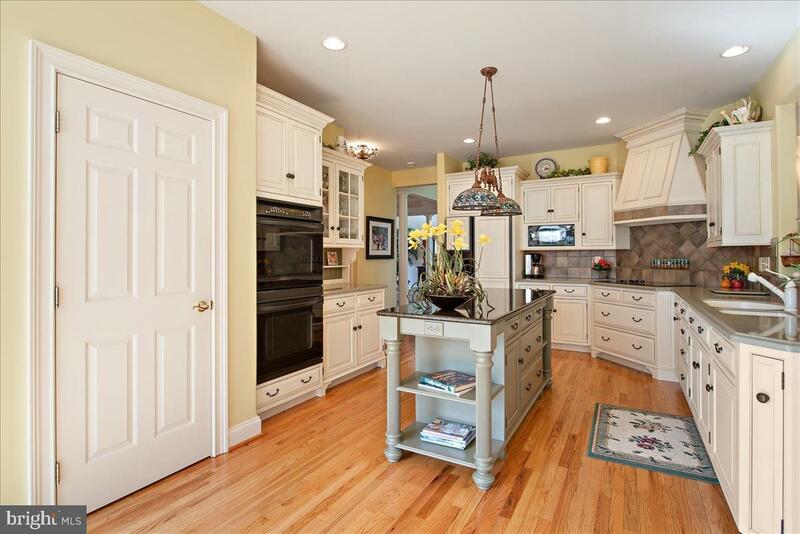 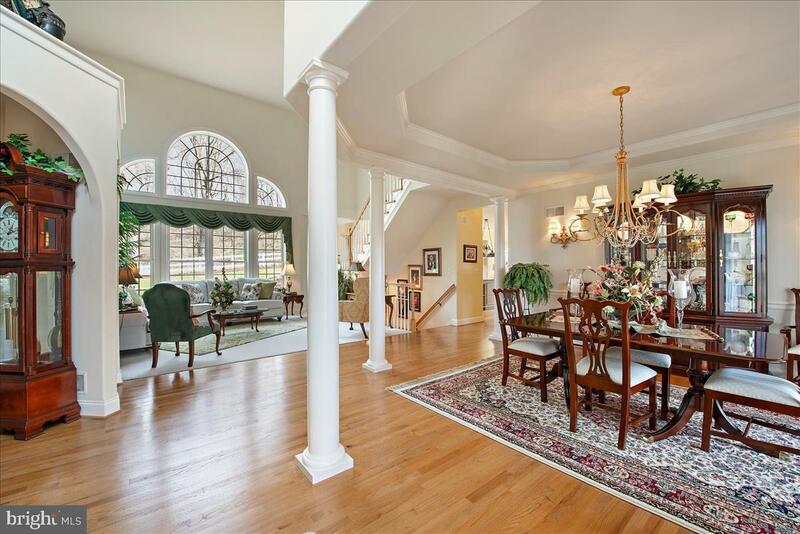 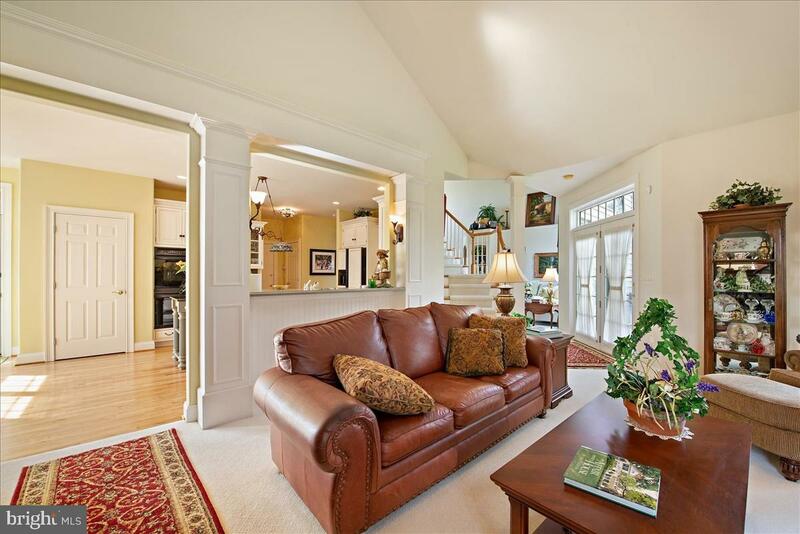 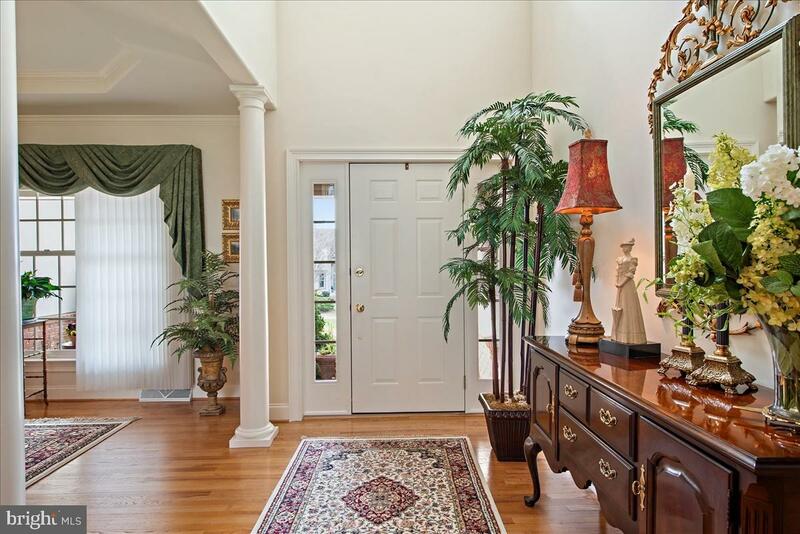 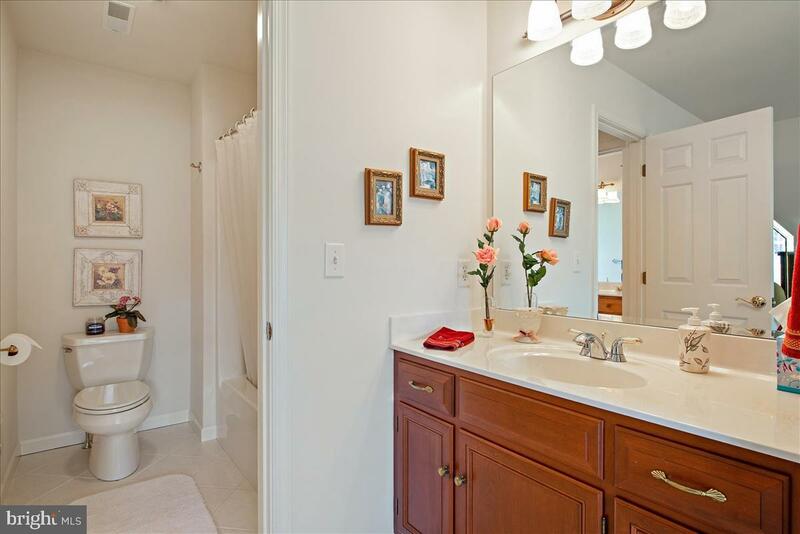 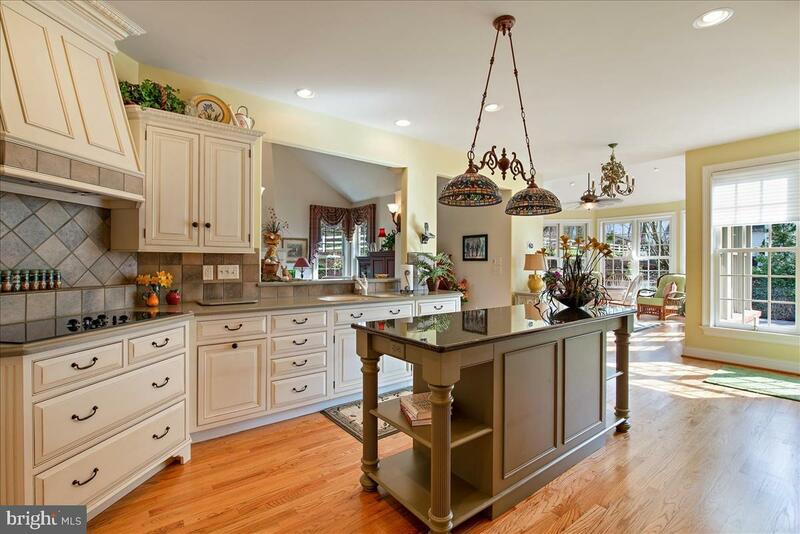 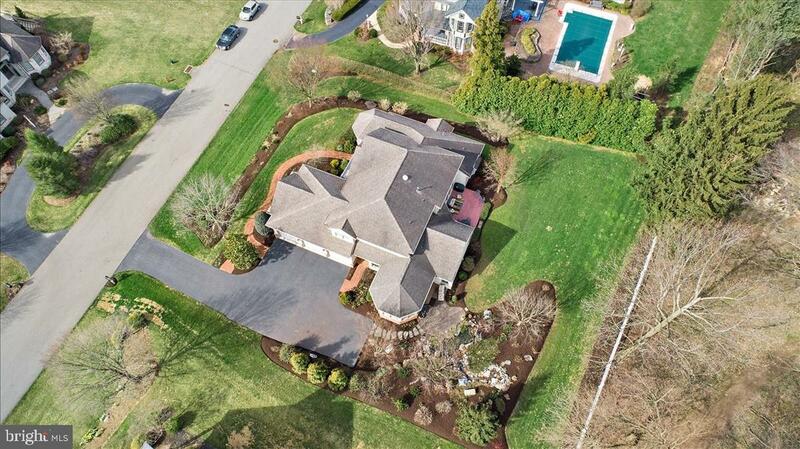 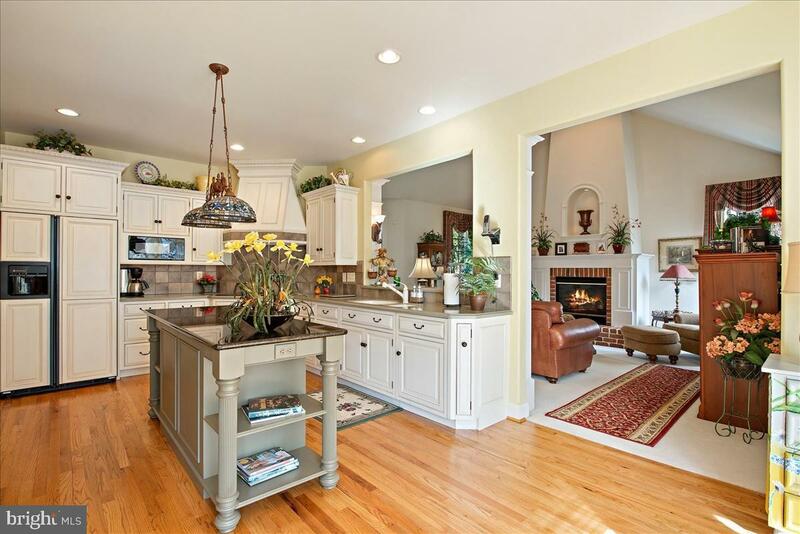 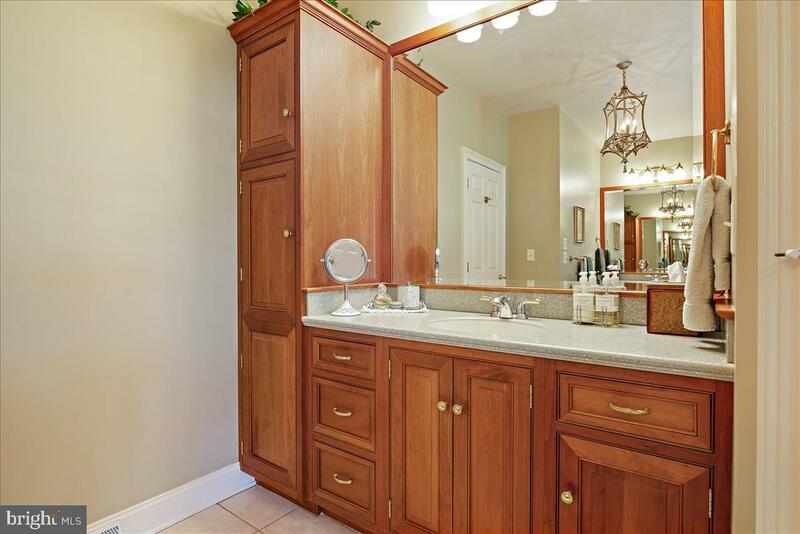 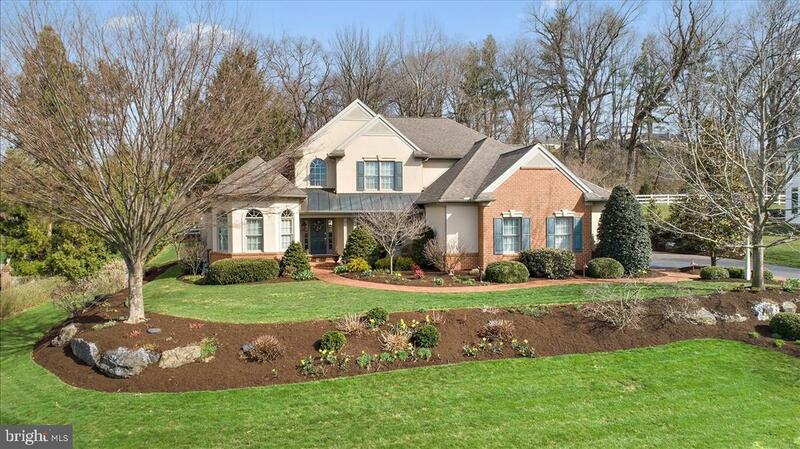 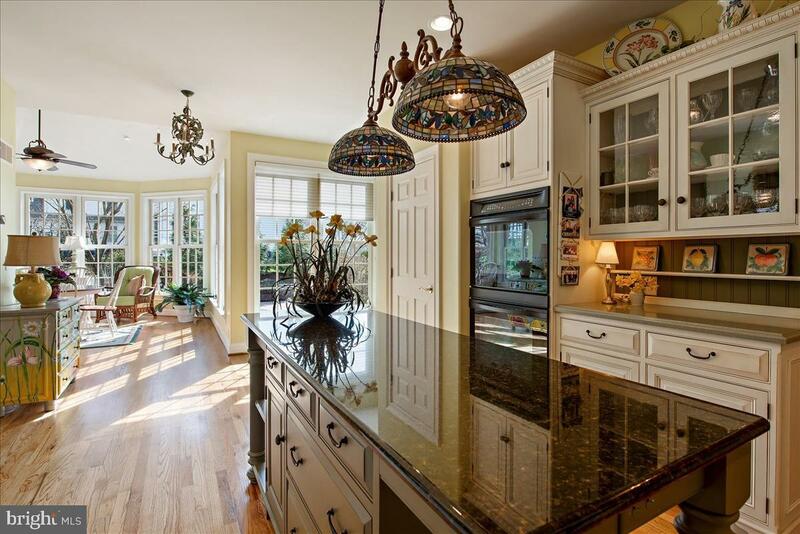 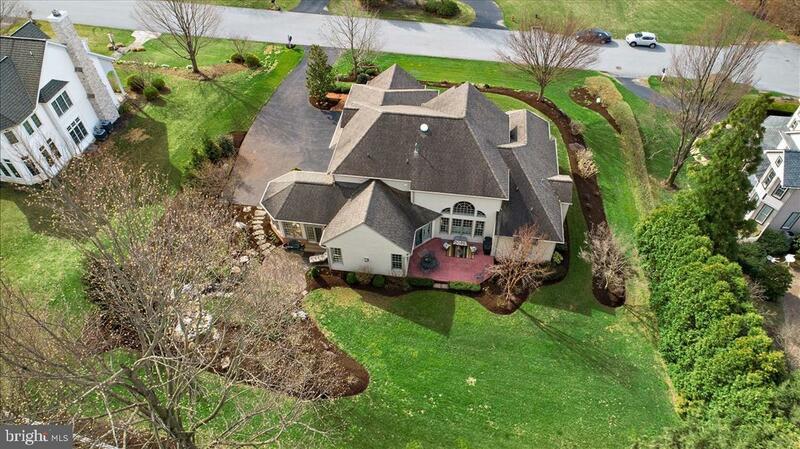 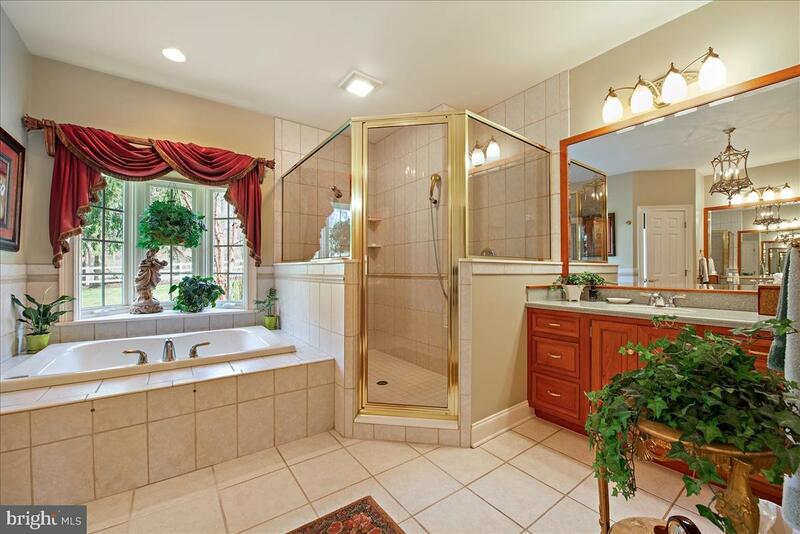 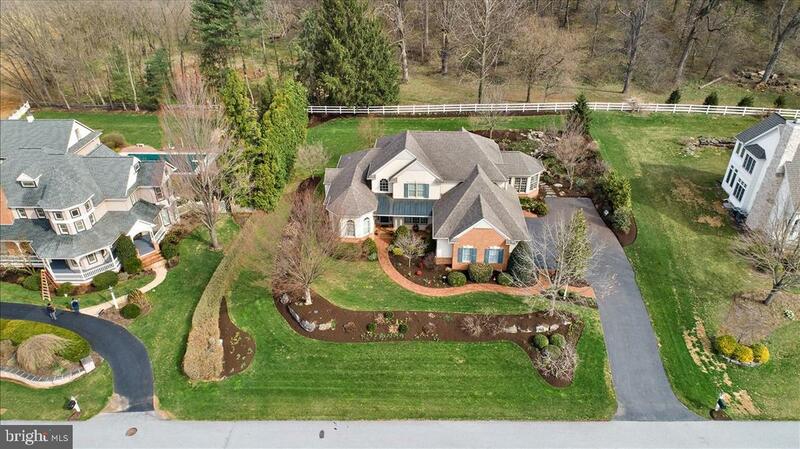 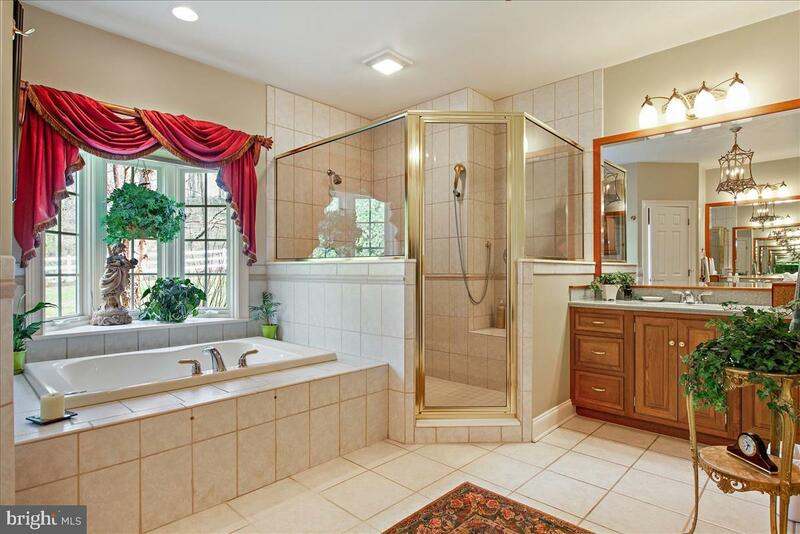 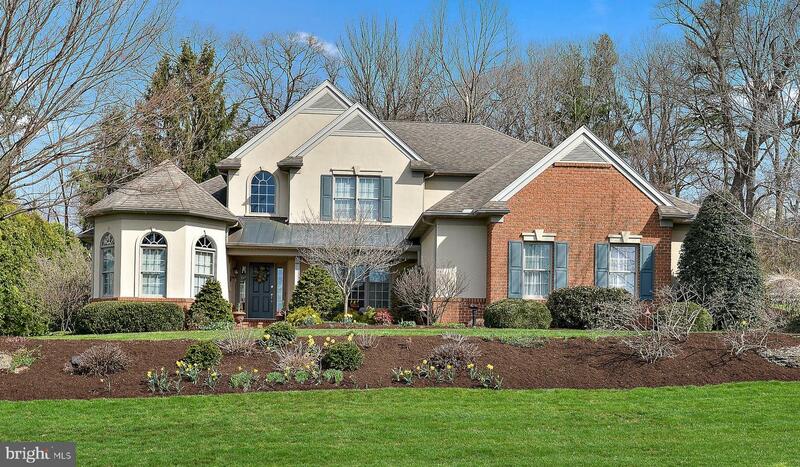 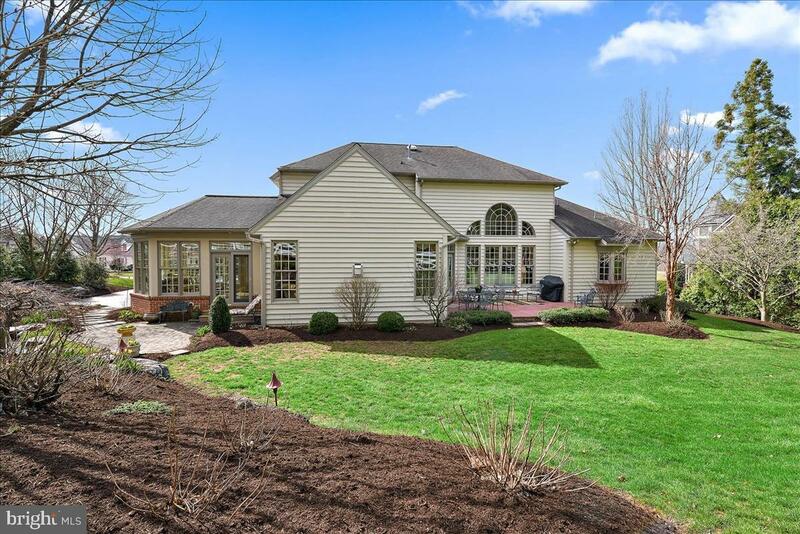 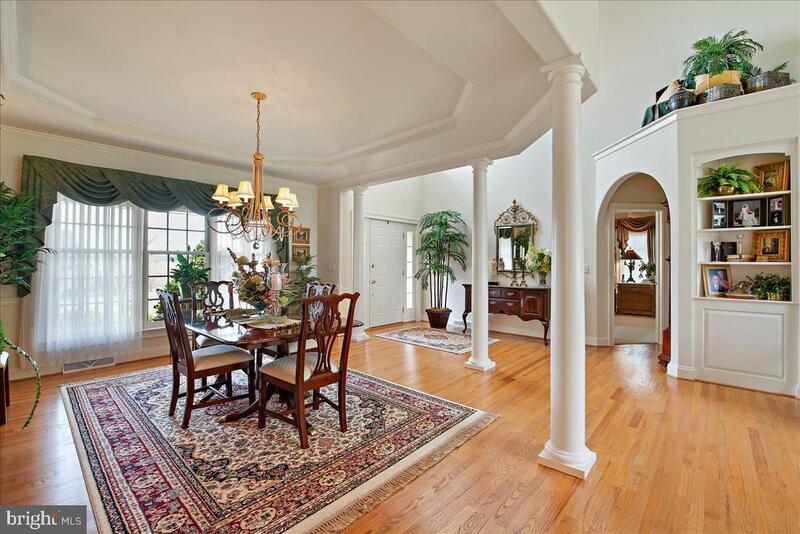 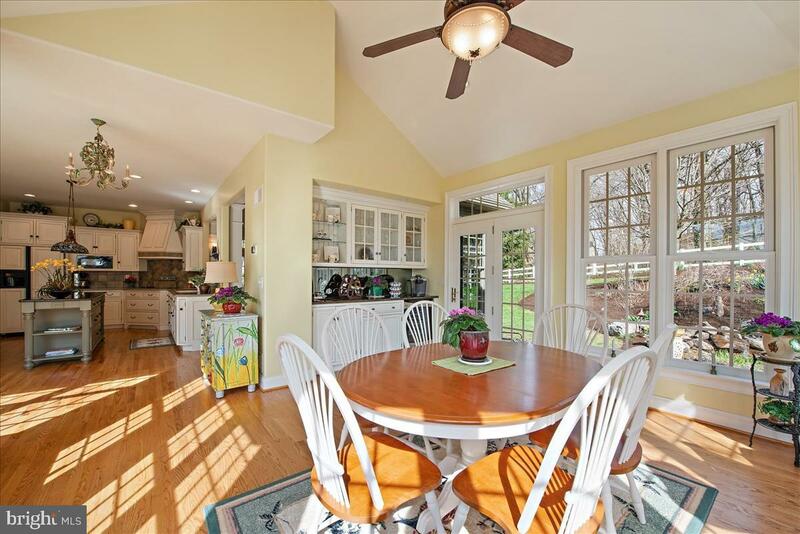 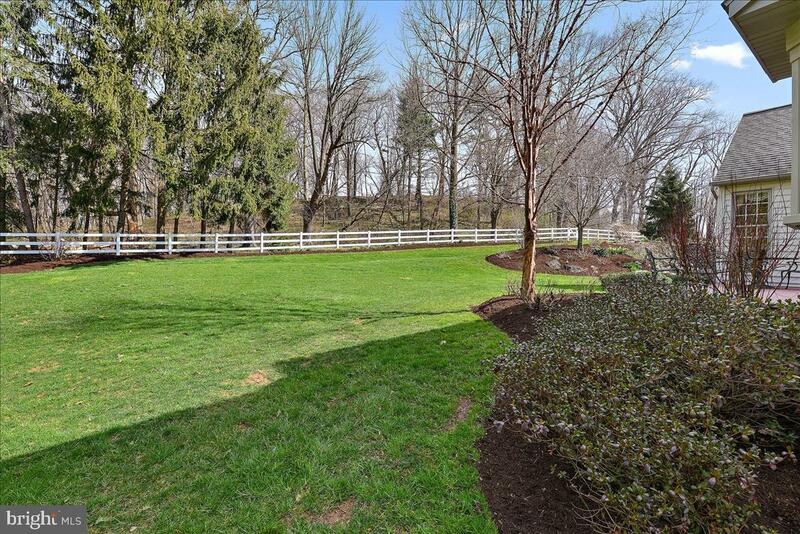 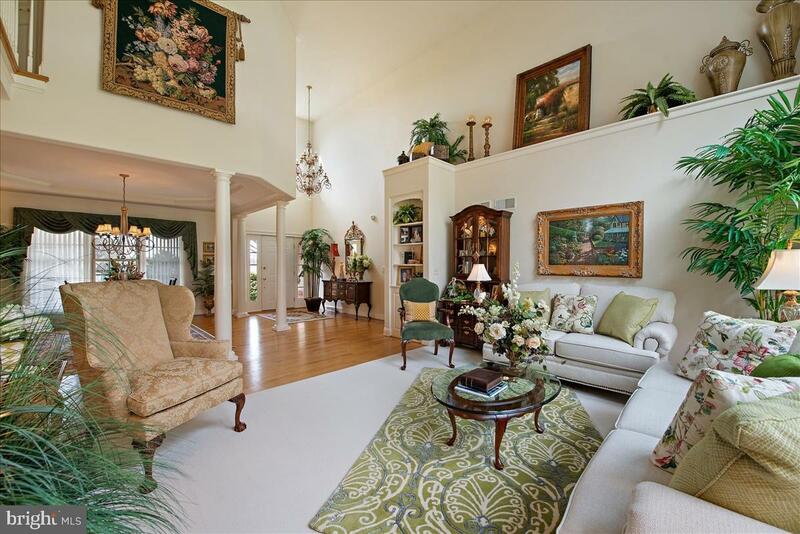 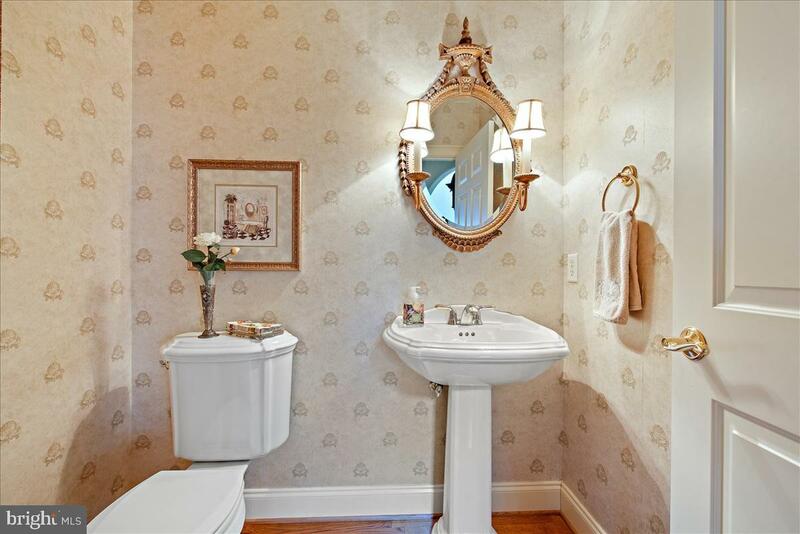 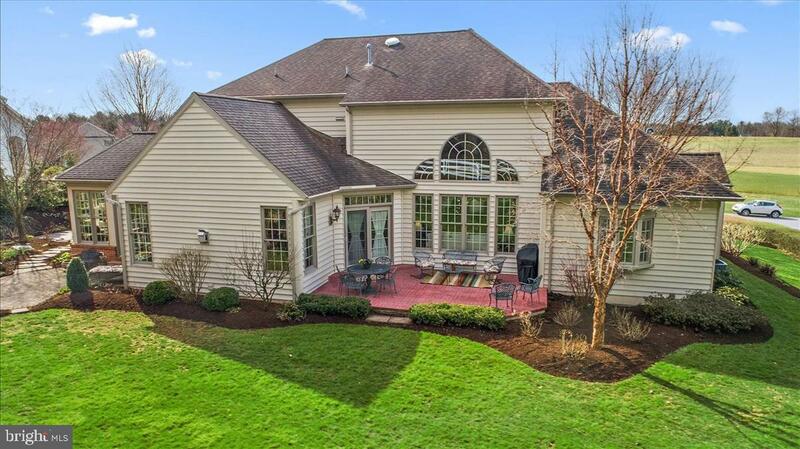 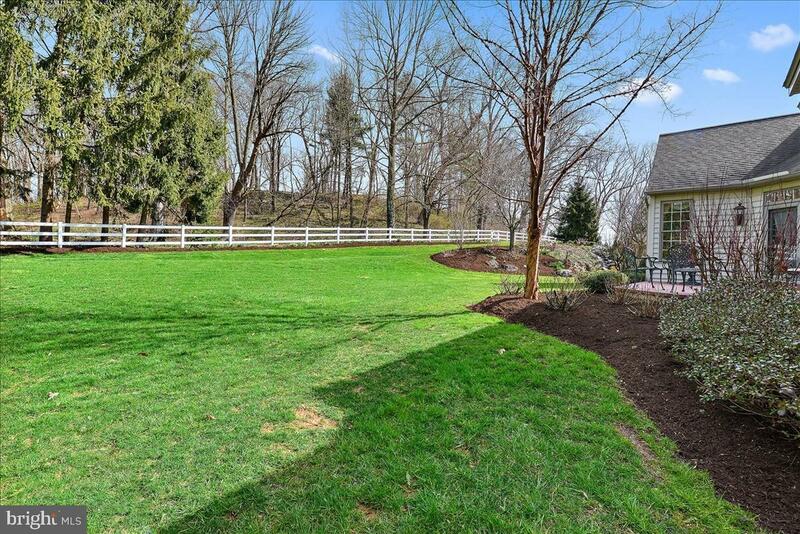 This lovely Custom home features many up-scale amenities throughout. 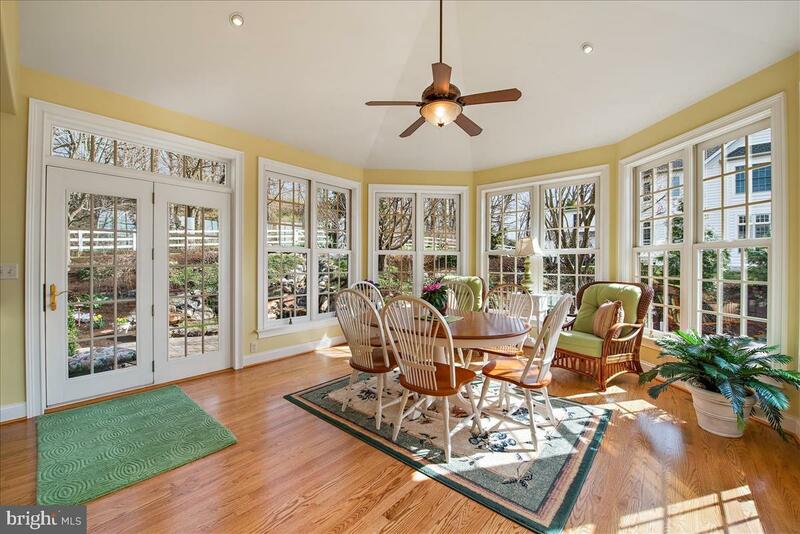 As you enter the front entry your eyes will be drawn to the architectural rear windows that give you a lovely view of the rear yard. 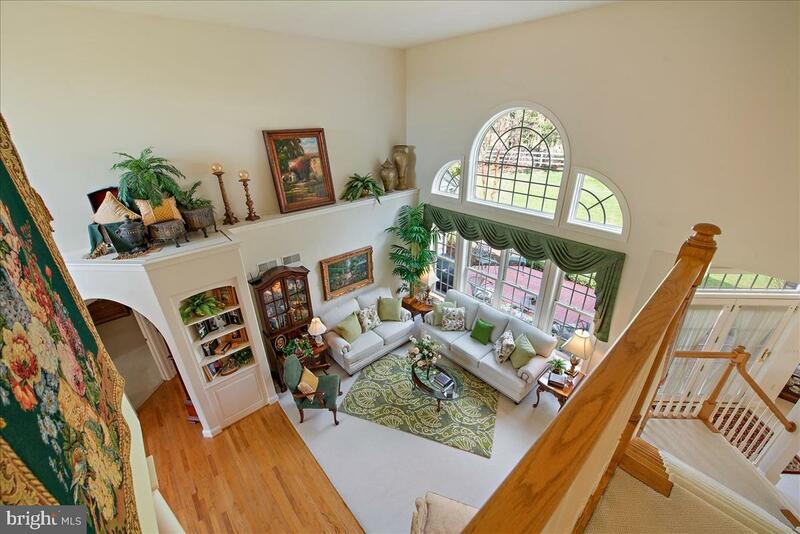 The built-ins and plant shelf add to the comfort of this room. 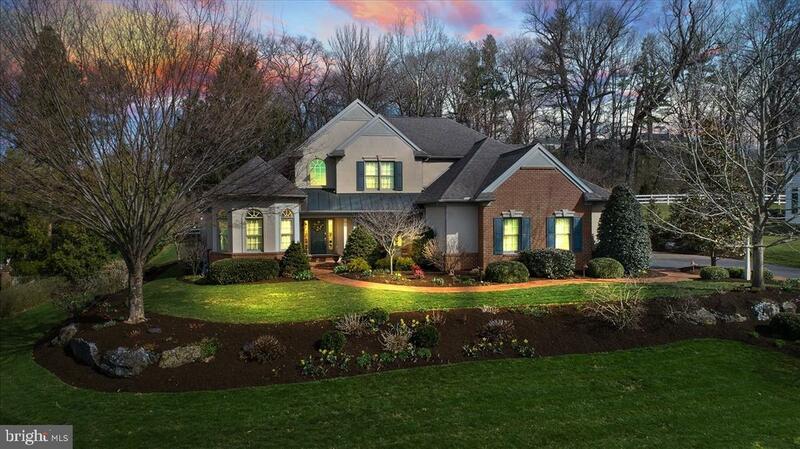 The custom kitchen features granite counter-tops, a custom island with storage, double ovens, up-to-date appliances and more.. A 19x16 Sunroom with beautiful windows, flood the room w/natural light.. 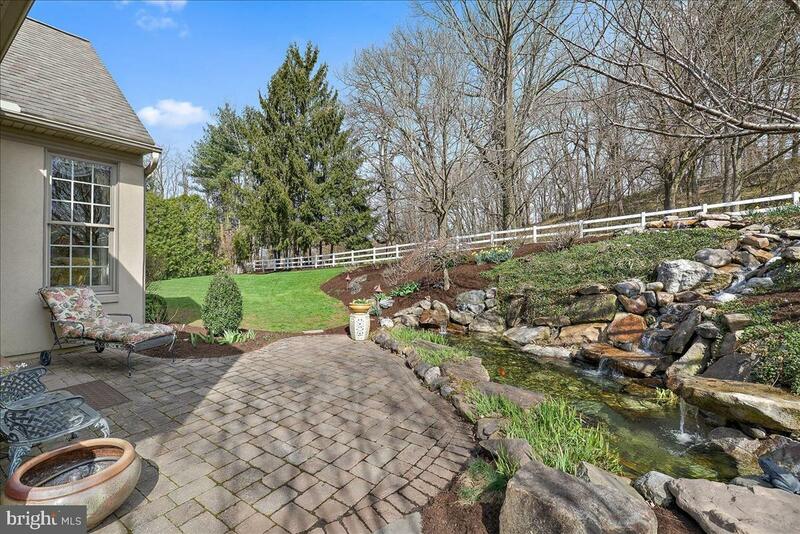 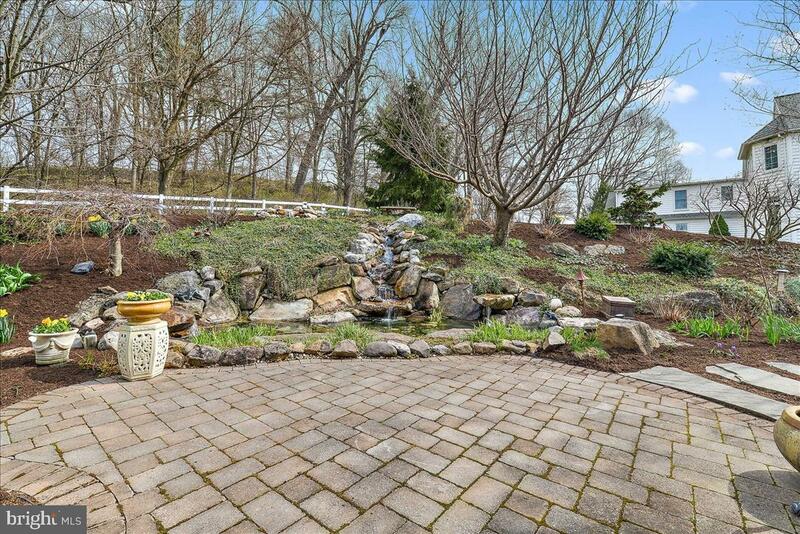 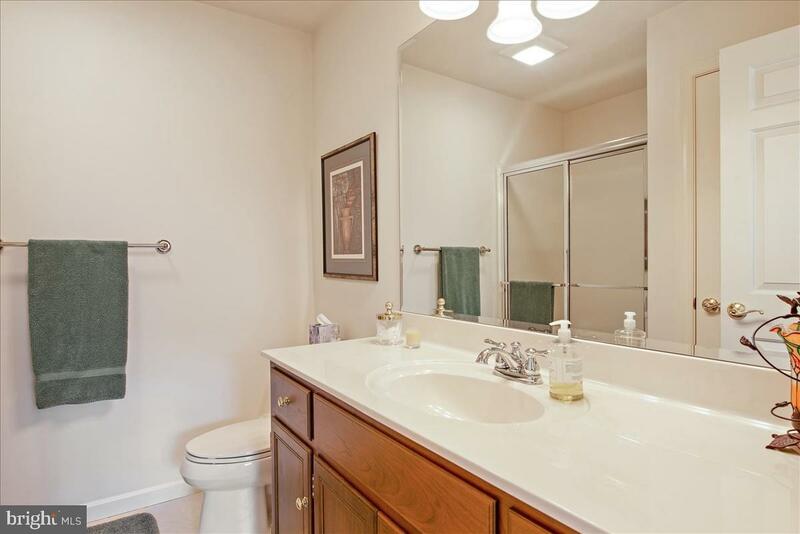 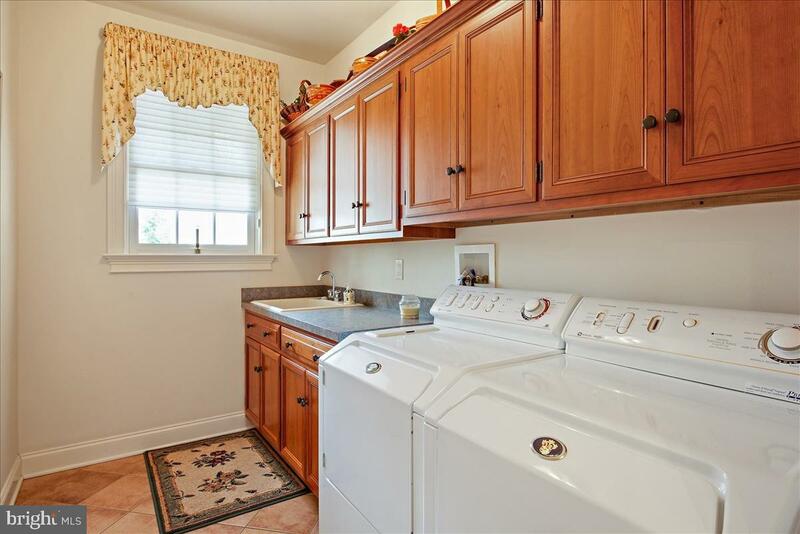 Included is a wet bar, cabinets, and exit to, or the enjoyment of, the patio, waterfall, and Koi pond. 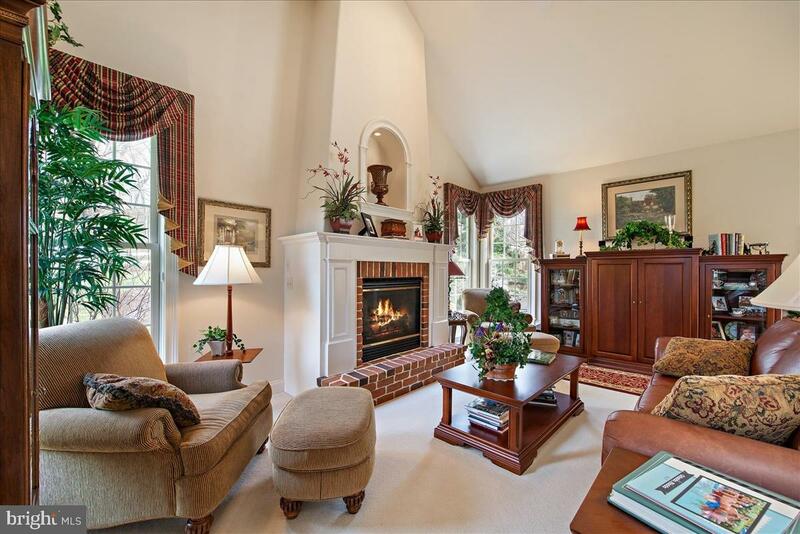 The wood framed fireplace in the family room has both a hearth and mantle, and this room is the perfect place to relax after a busy day. 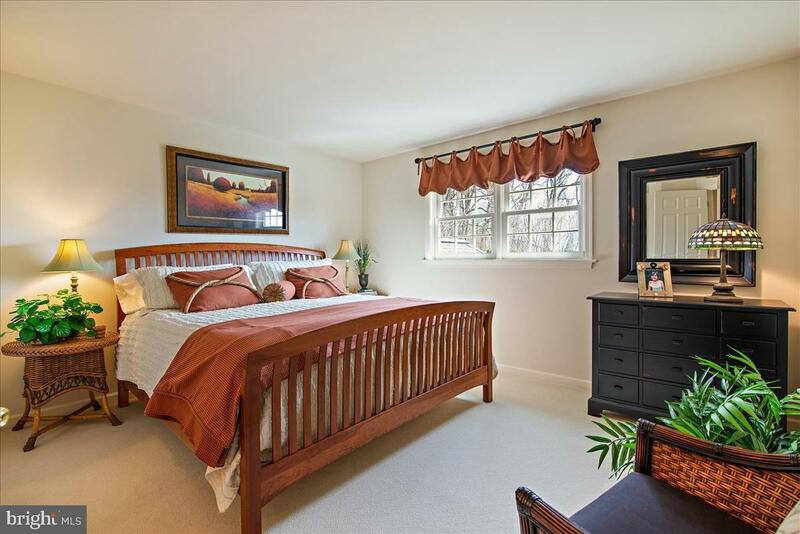 The fabulous First Floor Master Bedroom enjoys a special area for reading or relaxing, walk-in Closets, and a fantastic Master Bath with separate vanities, whirlpool tub, and grand walk-in shower. 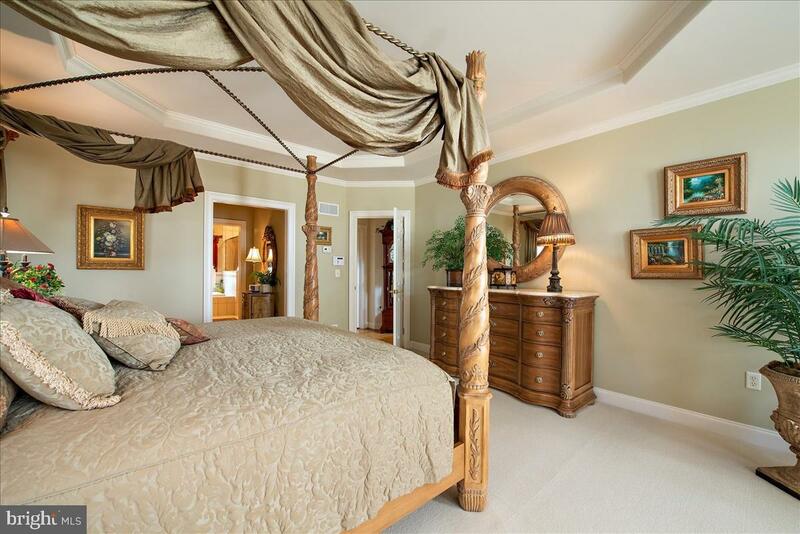 The second floor is perfect for the children or guests as there are three generous sized bedroom: one with private bath, and two others with a Jack and Jill bath. 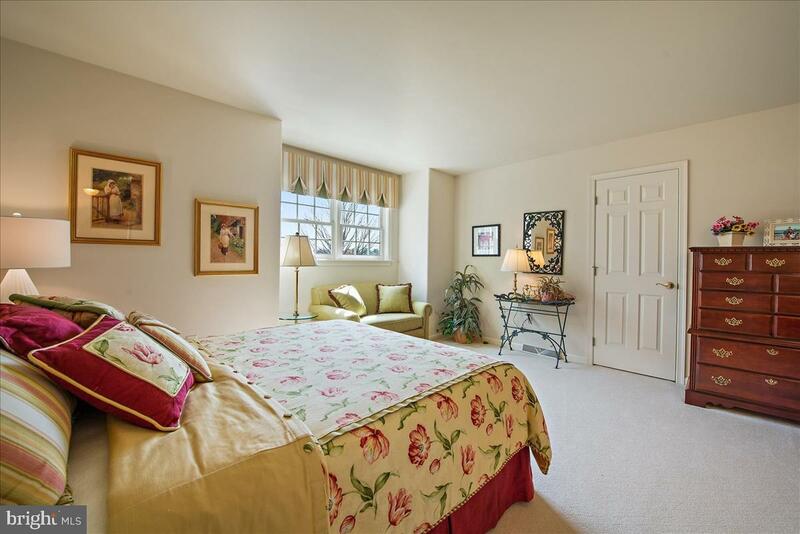 All provide for closet space and access to some walk-in attic storage. 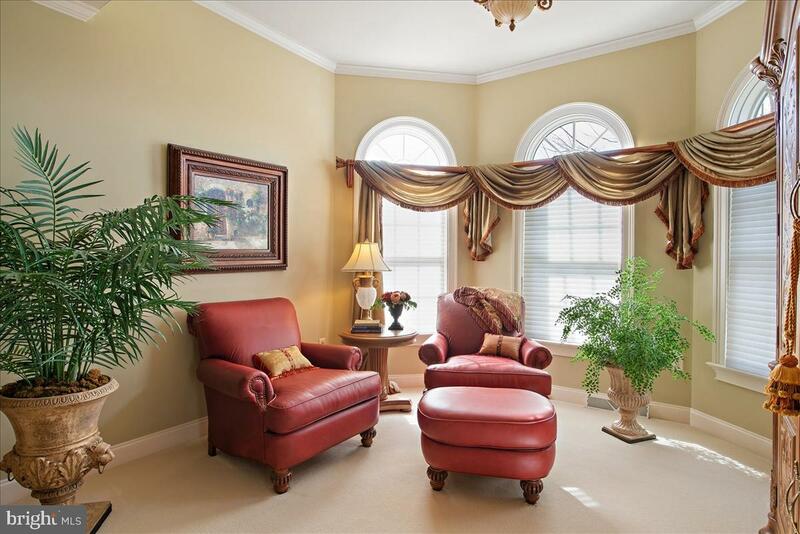 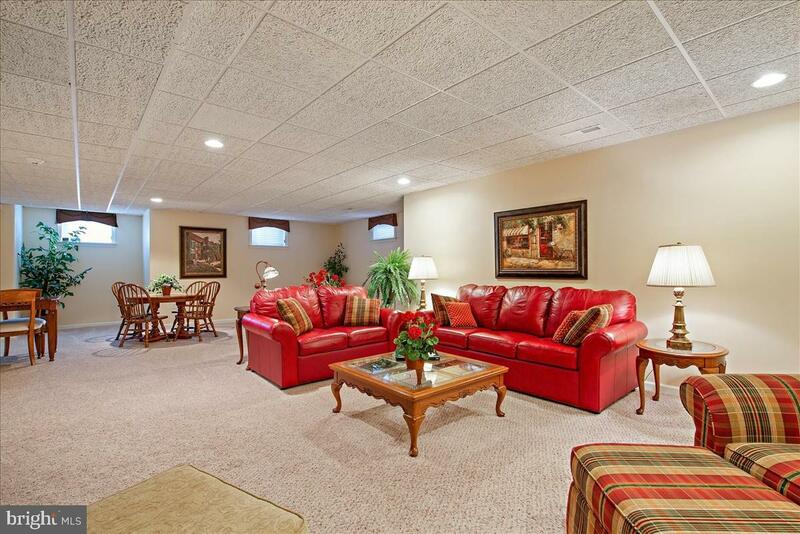 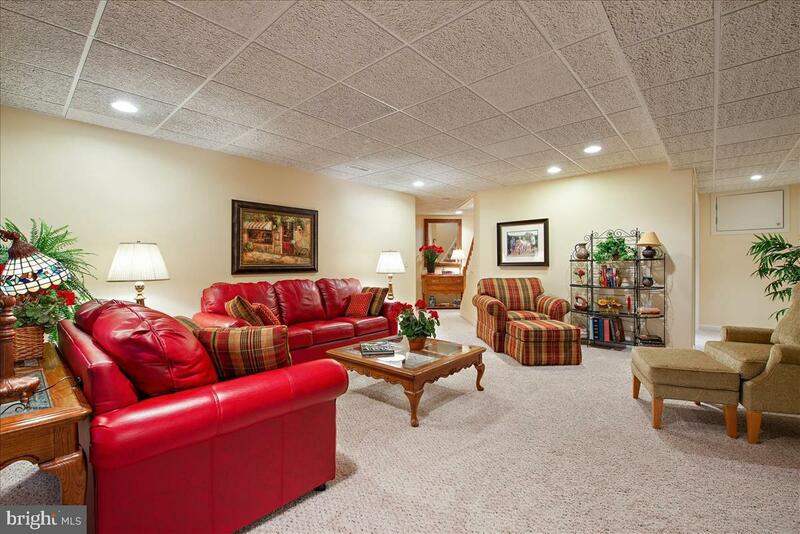 The lower level features a finished recreation room that is fantastic for family gatherings. 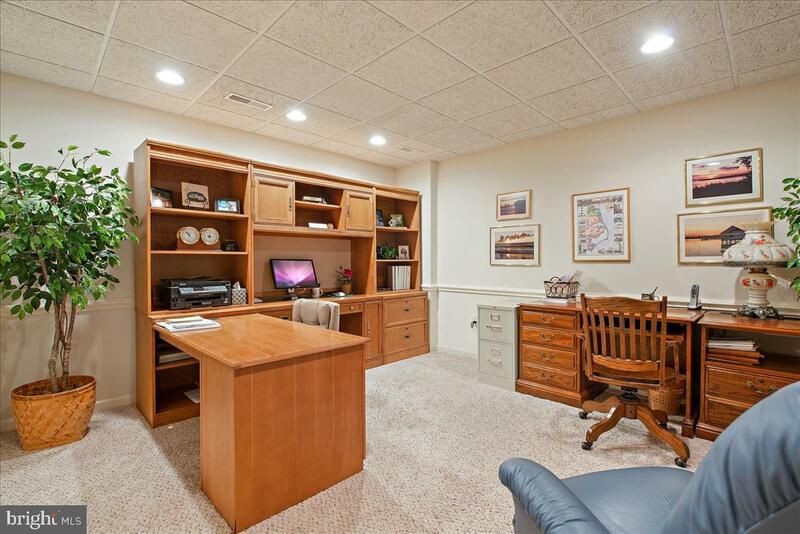 And, should you need an office, craft room, another bedroom, you have it on this level with a full bath as well. 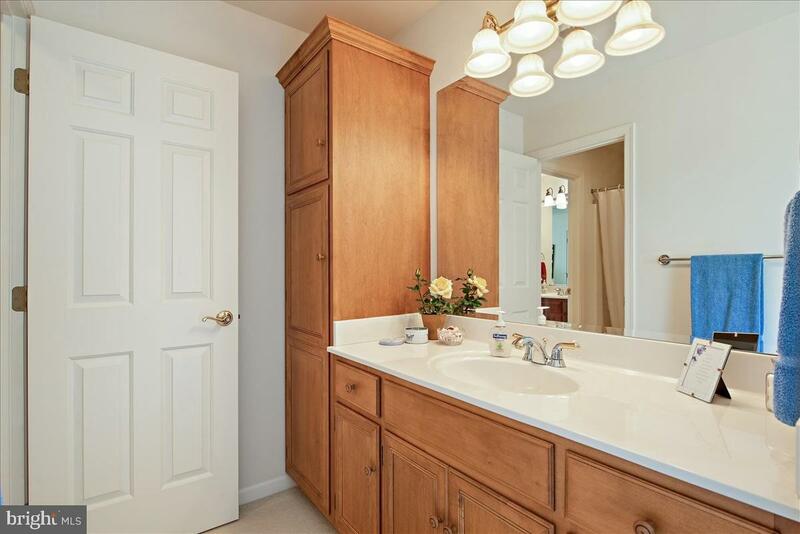 Add a generous storage area, a furnace room, a large storage closet, and crawl space for additional storage, should you need it. 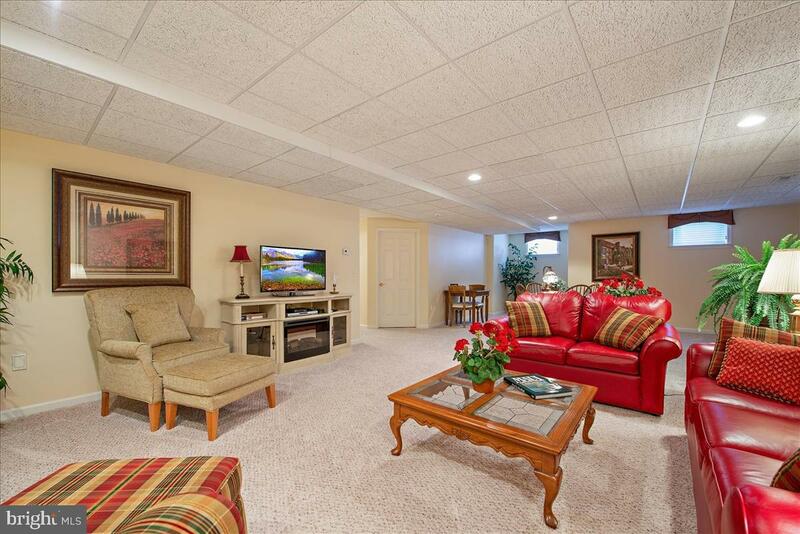 The three car garage is oversized to meet the storage of lawn equipment, etc and also allows for an entrance to the basement. 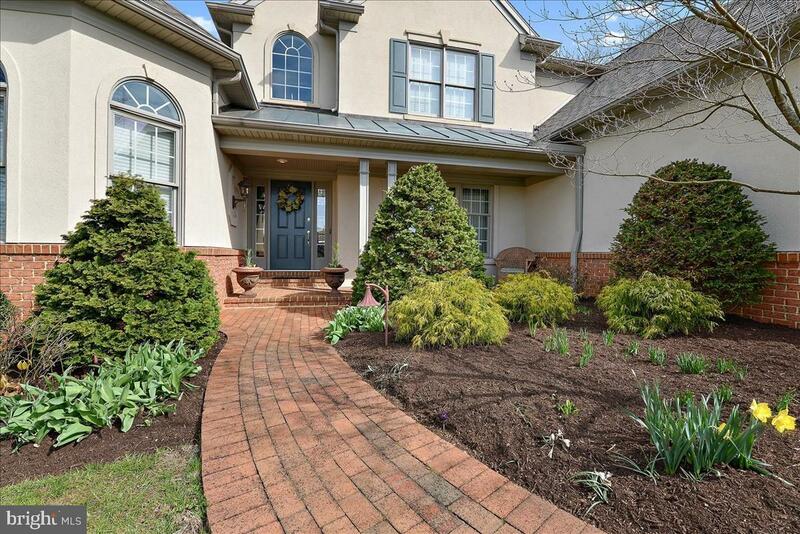 This lovely custom home has been beautifully landscaped with a rear patio with pavers and space for your outdoor grilling, or sitting in the quiet of the privacy of the rear yard. 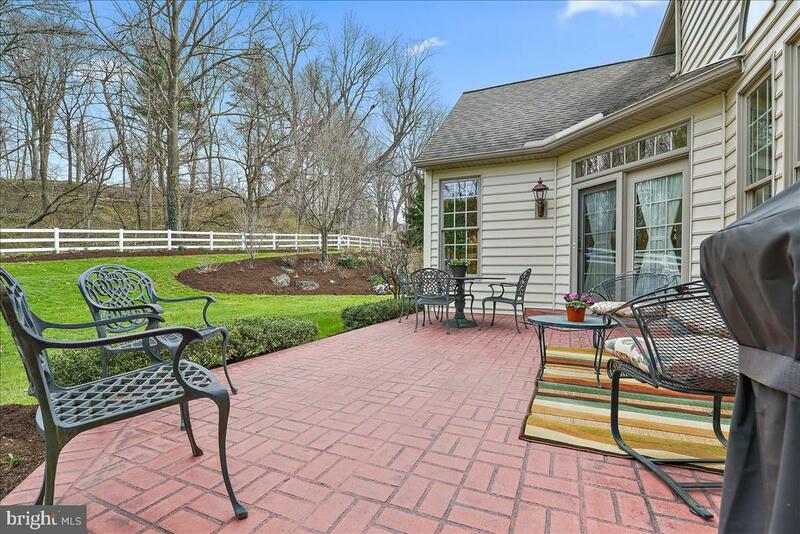 A home to enjoy and a fantastic location as well.